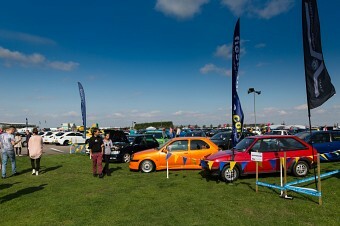 TRAX this year seemed to have increased in size compared to 2013 - the stands spreading further out into the area surrounding the track with many clubs in attendance. 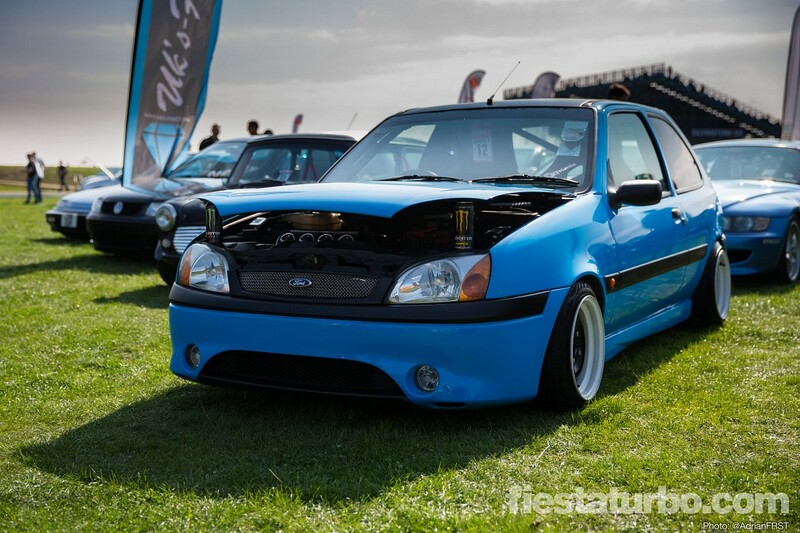 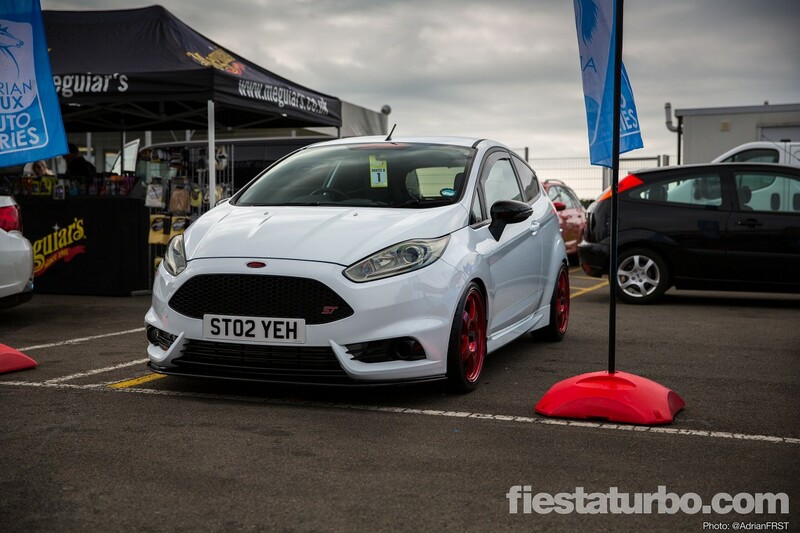 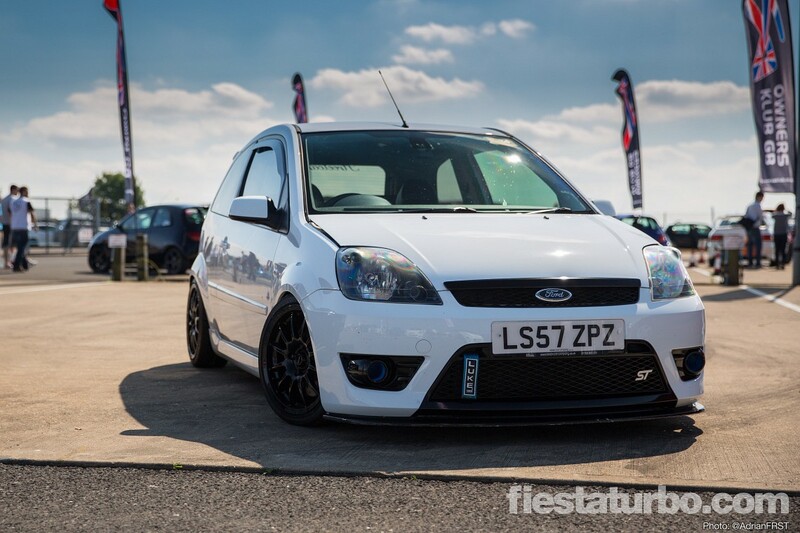 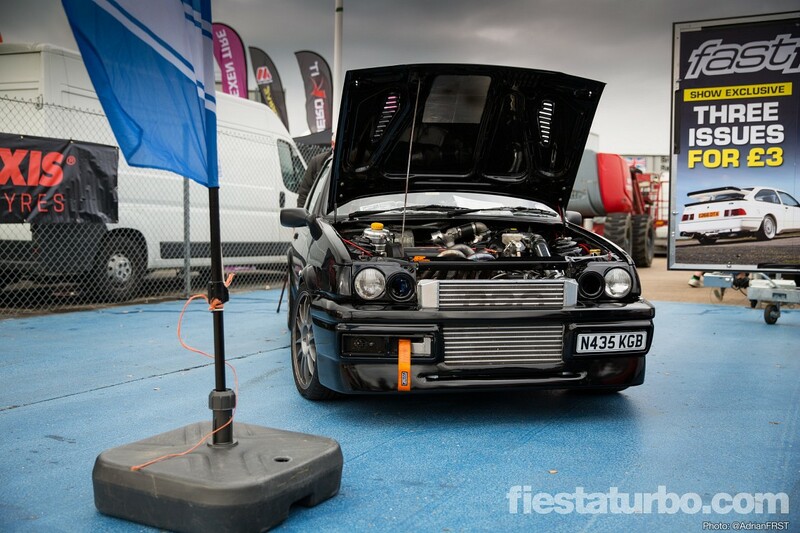 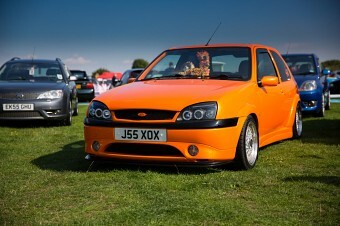 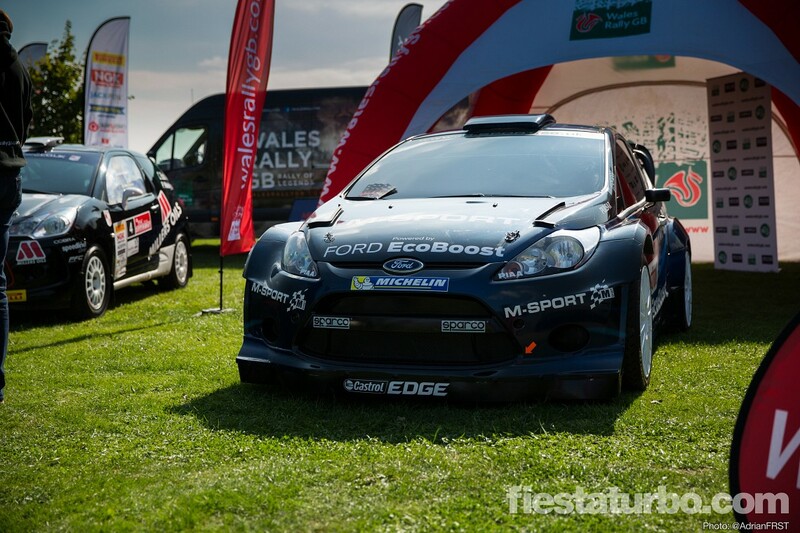 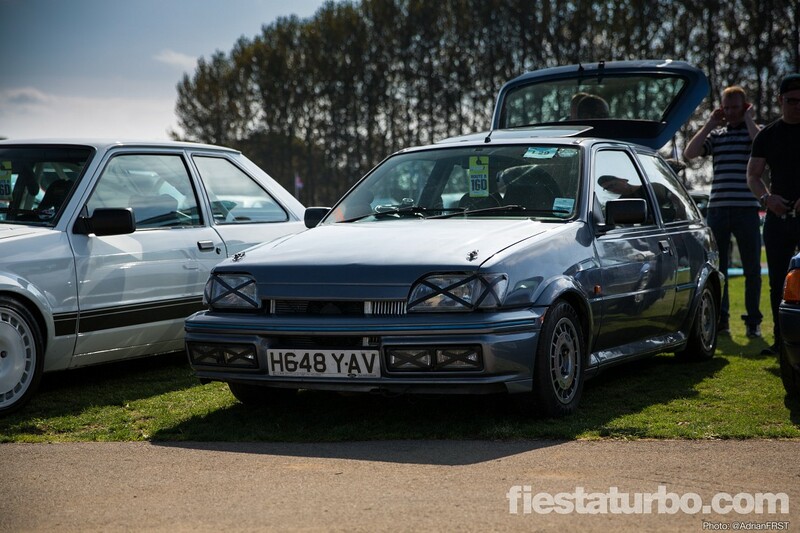 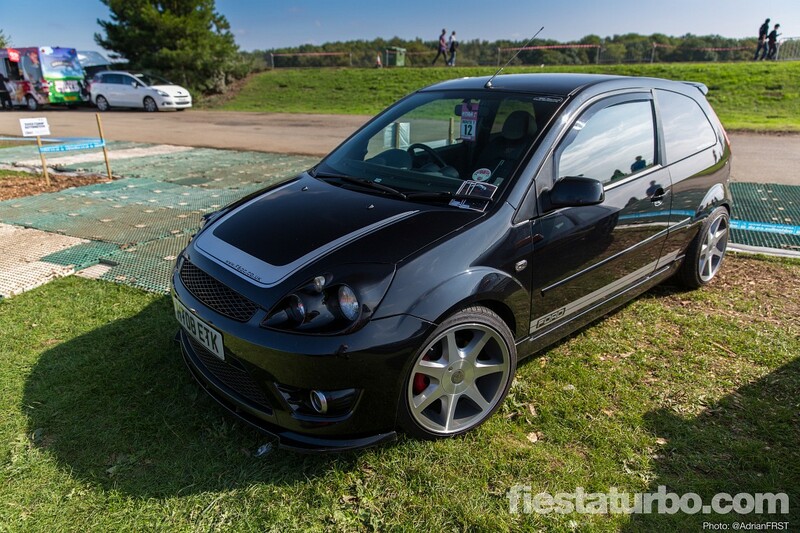 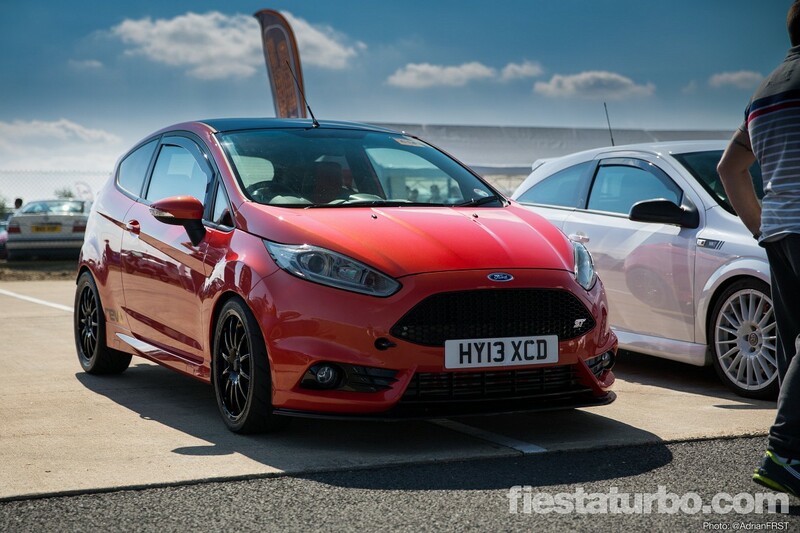 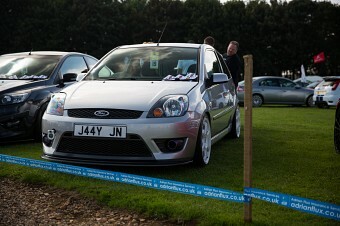 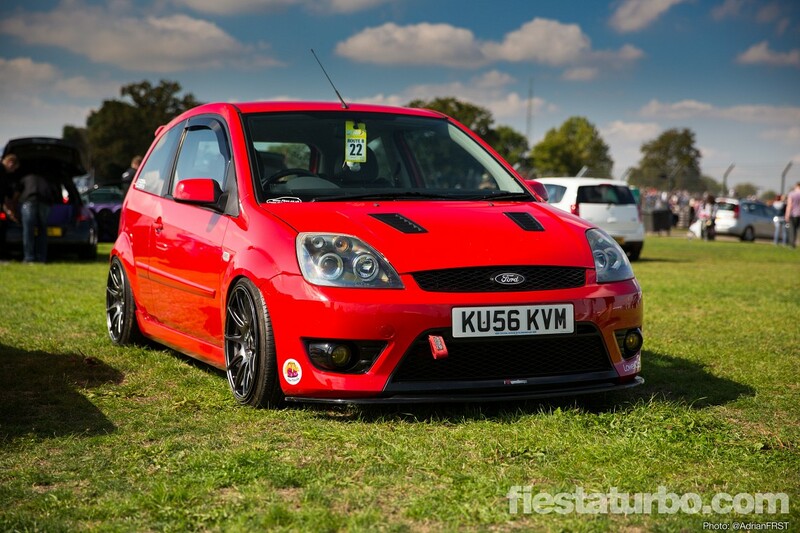 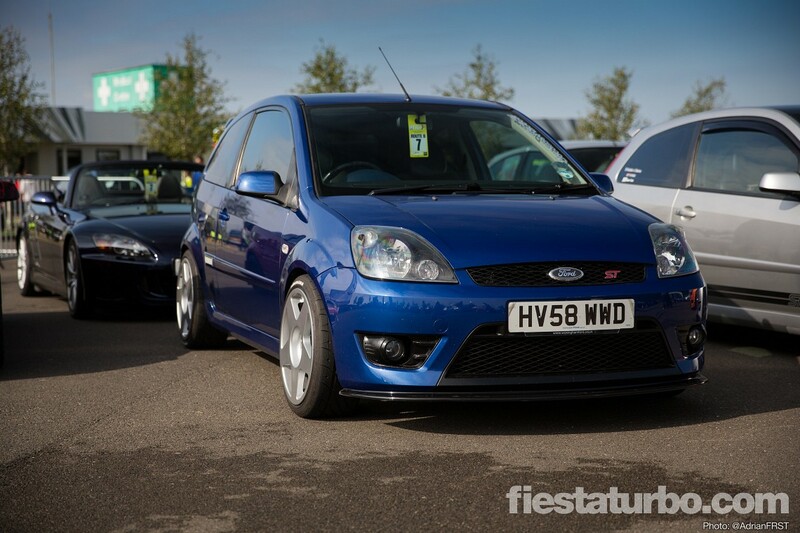 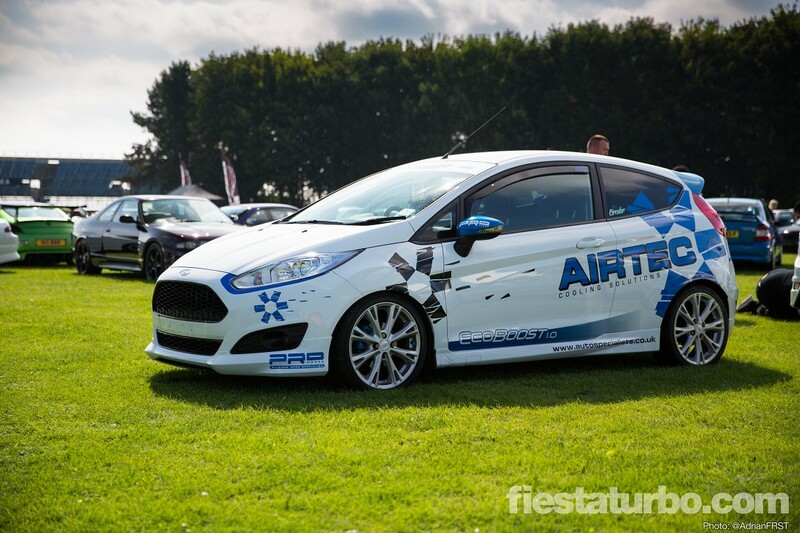 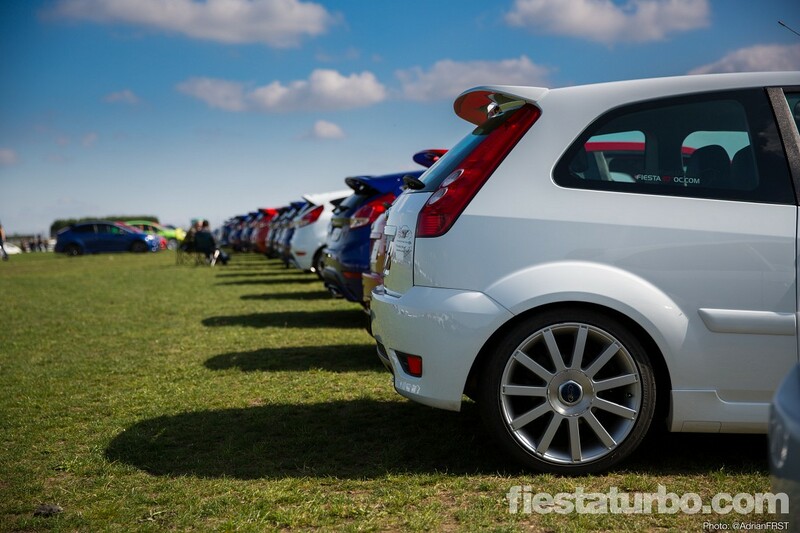 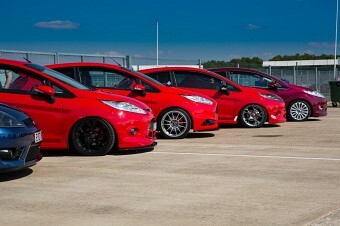 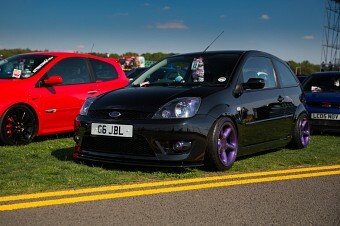 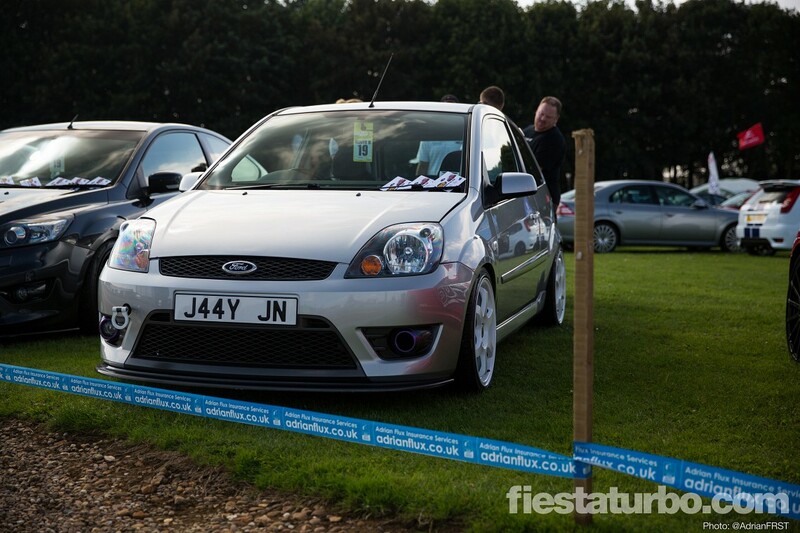 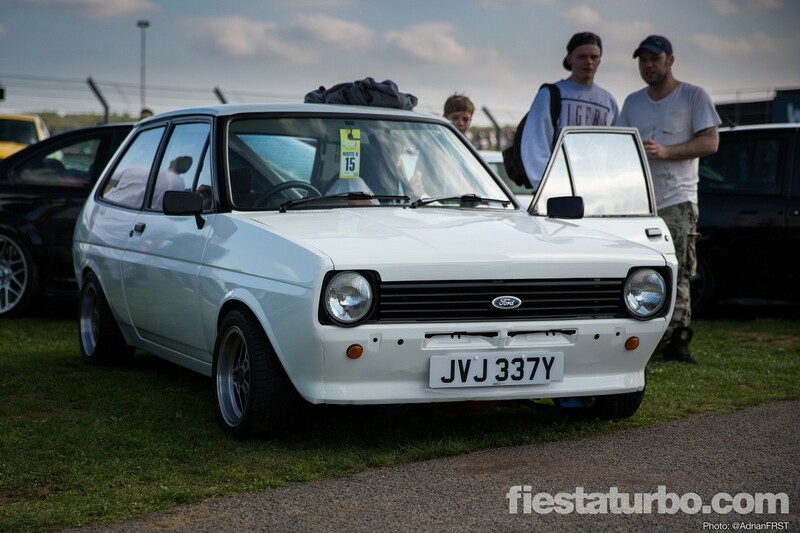 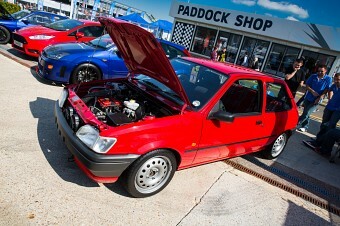 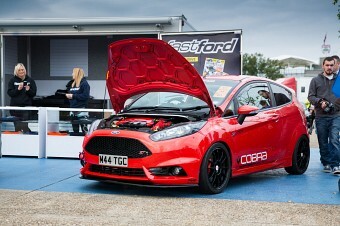 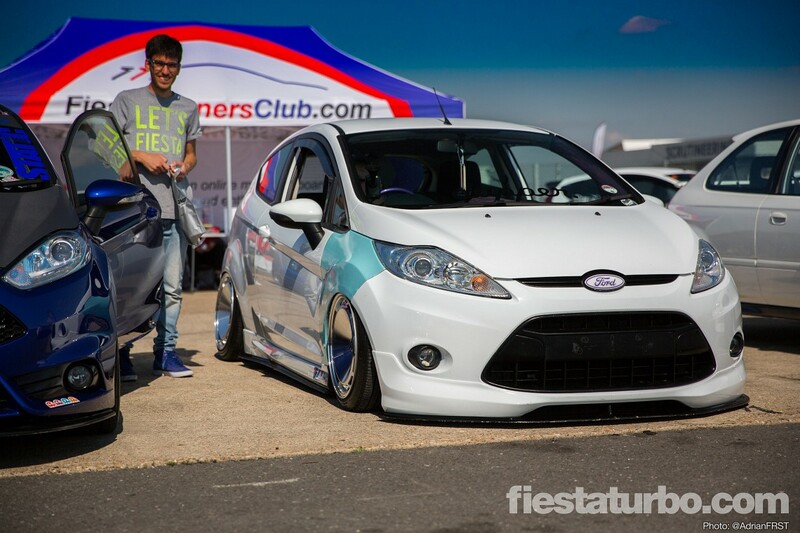 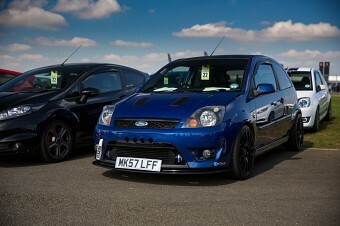 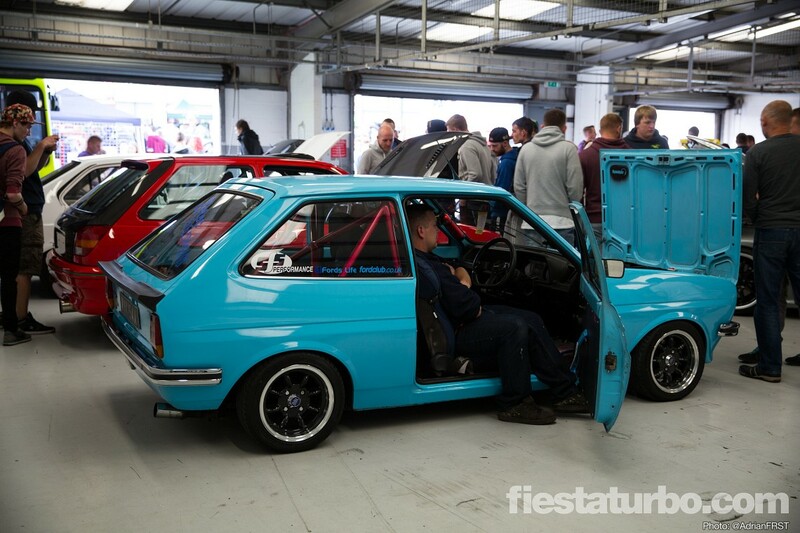 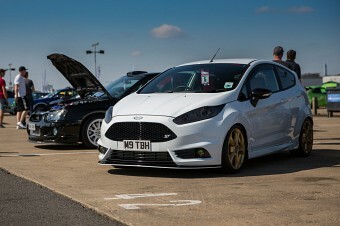 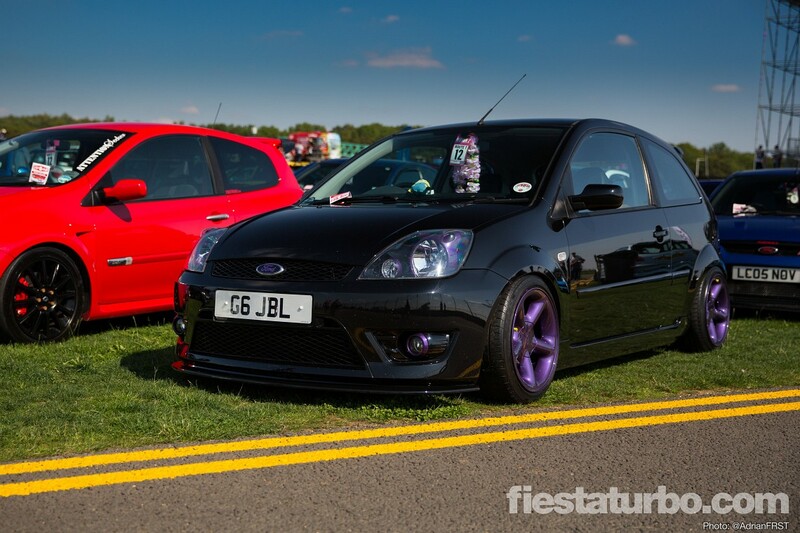 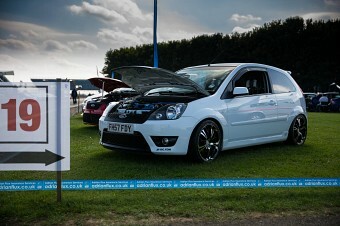 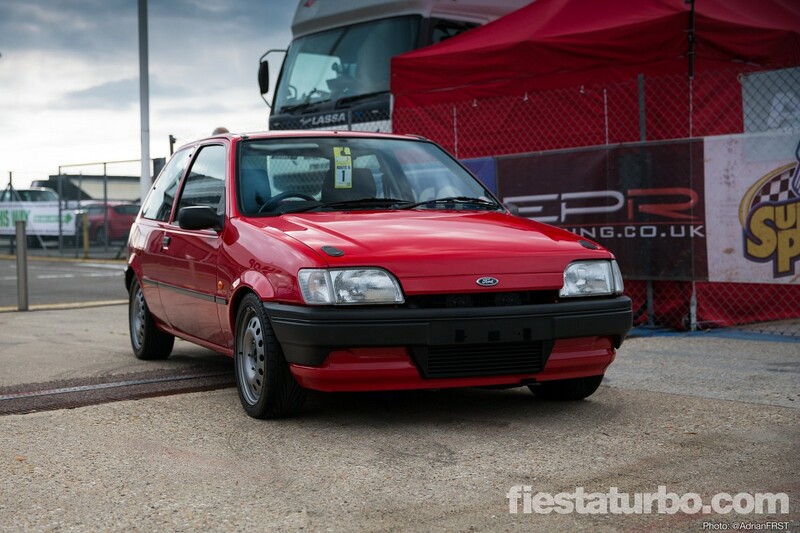 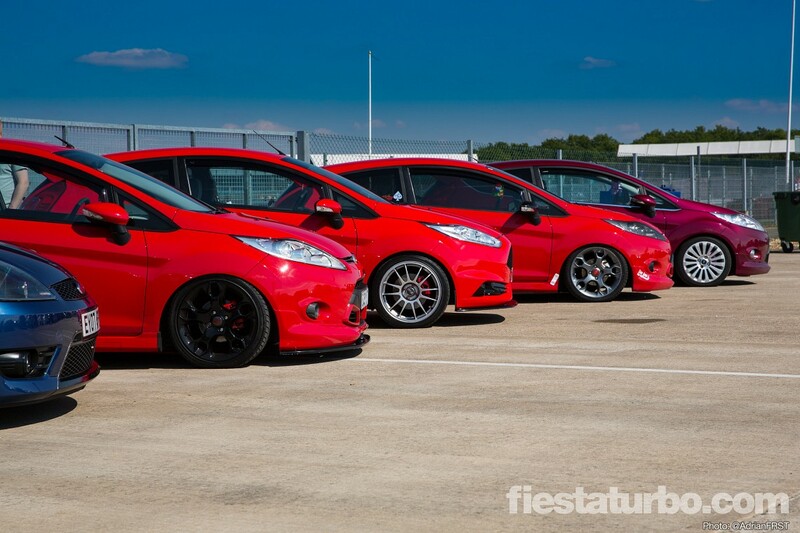 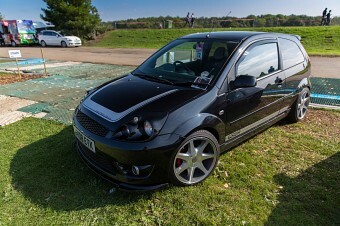 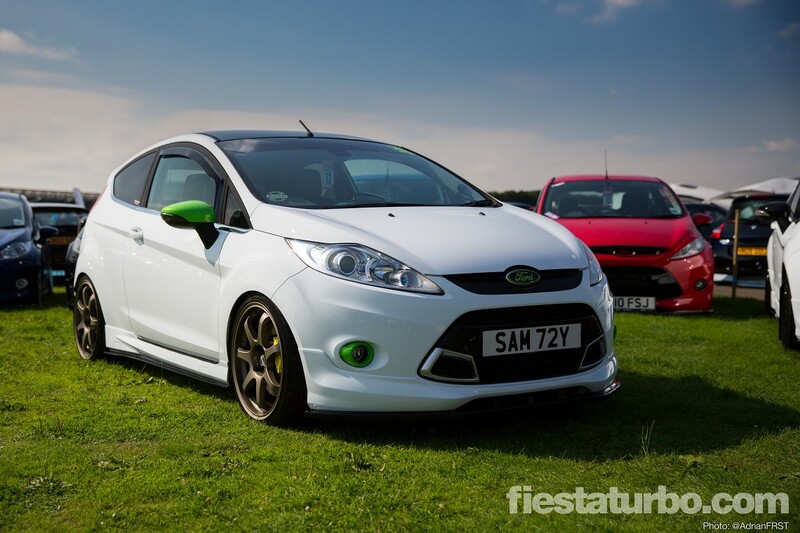 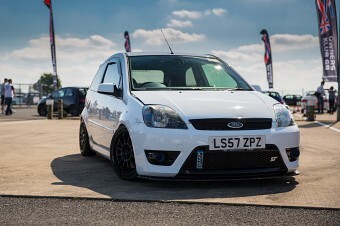 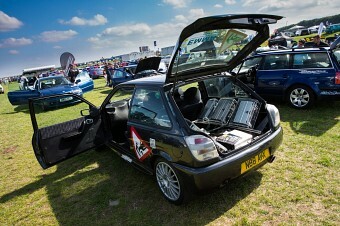 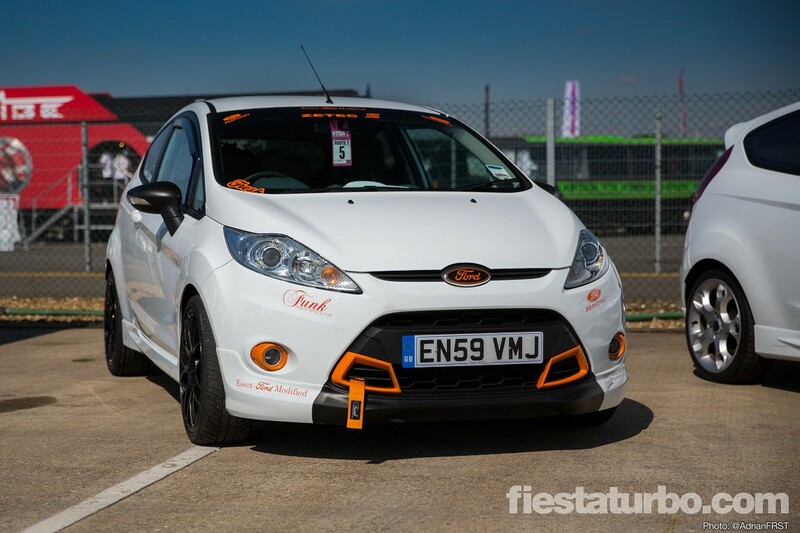 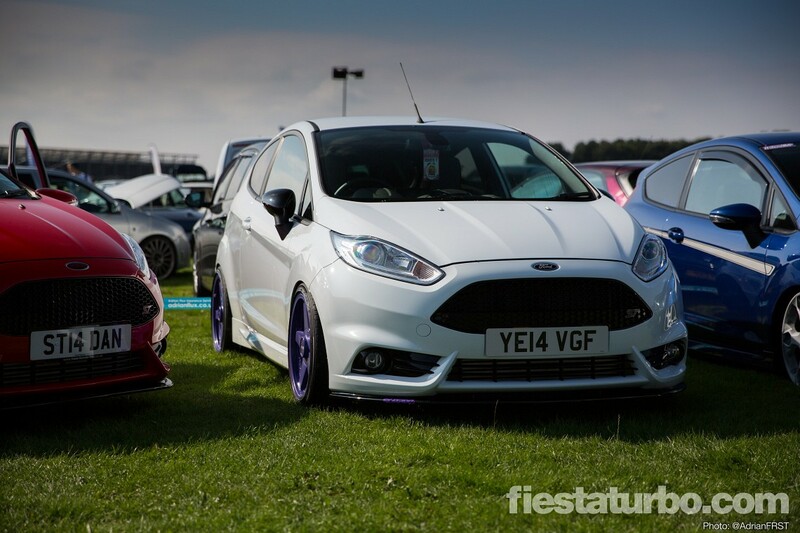 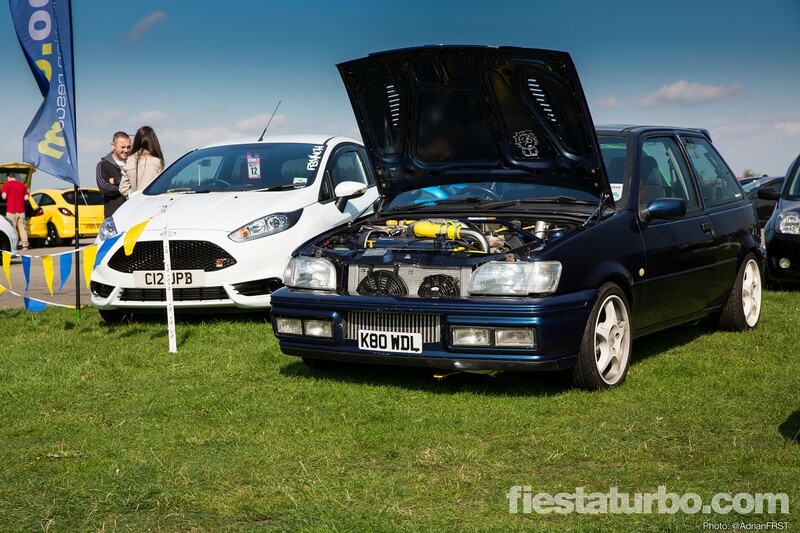 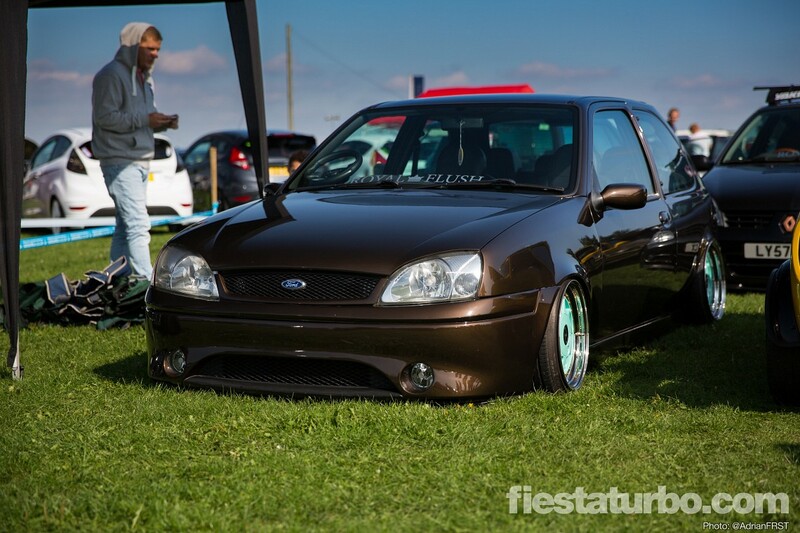 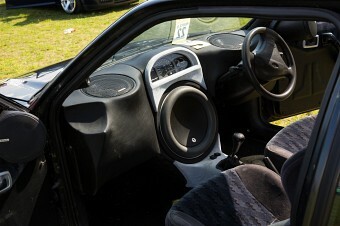 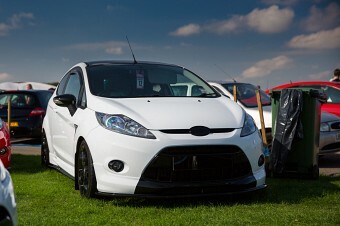 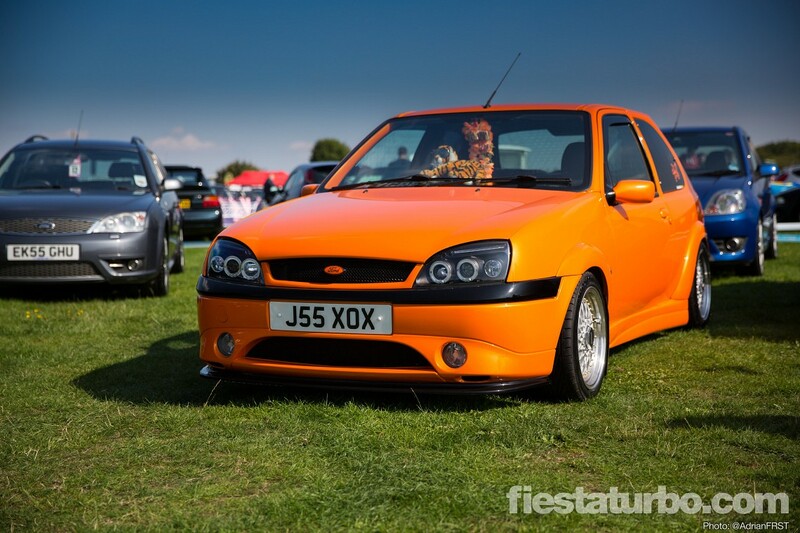 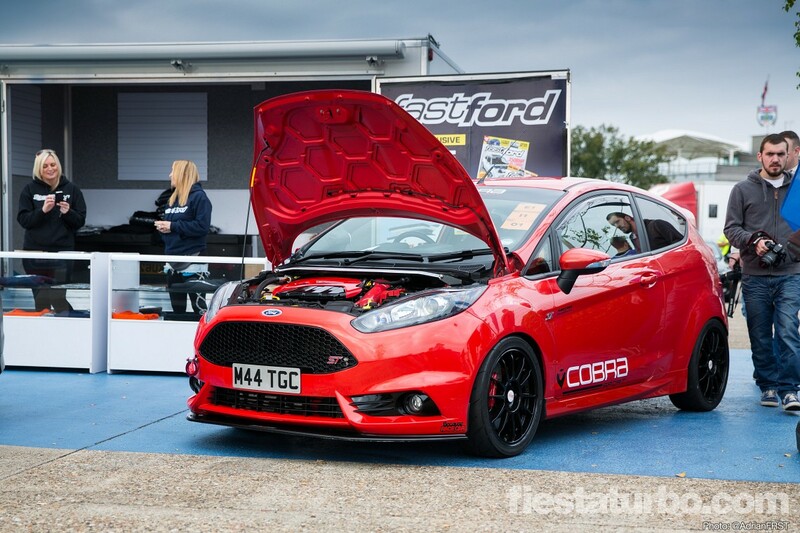 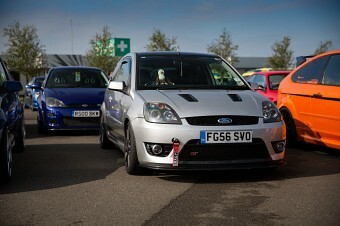 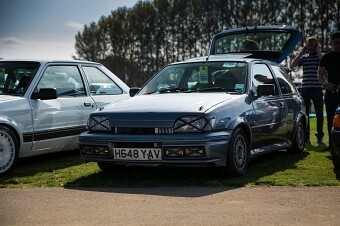 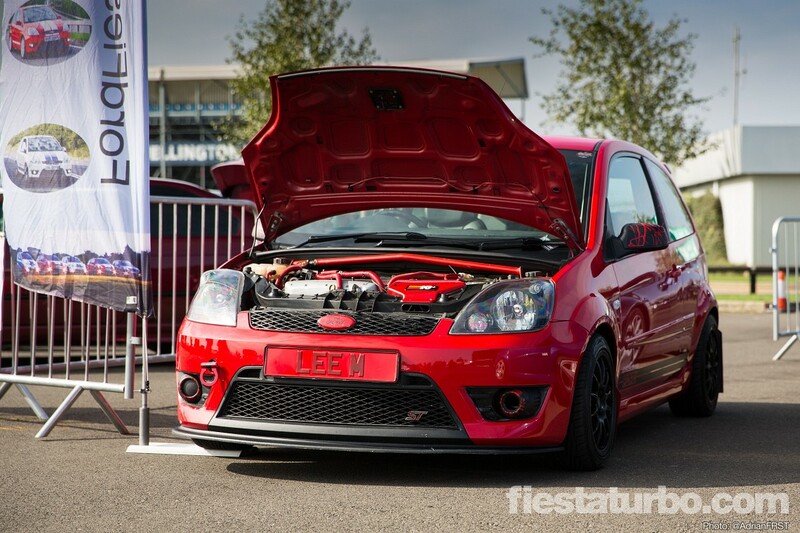 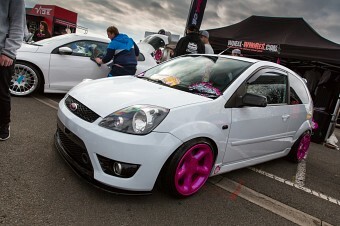 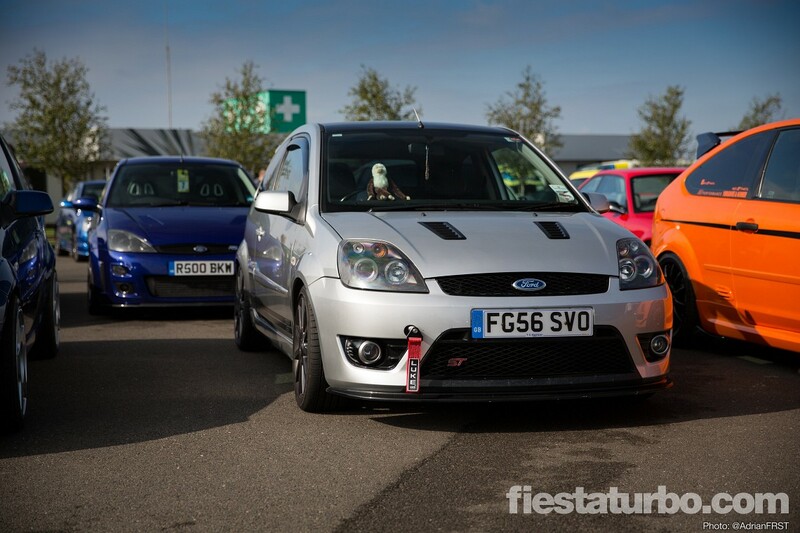 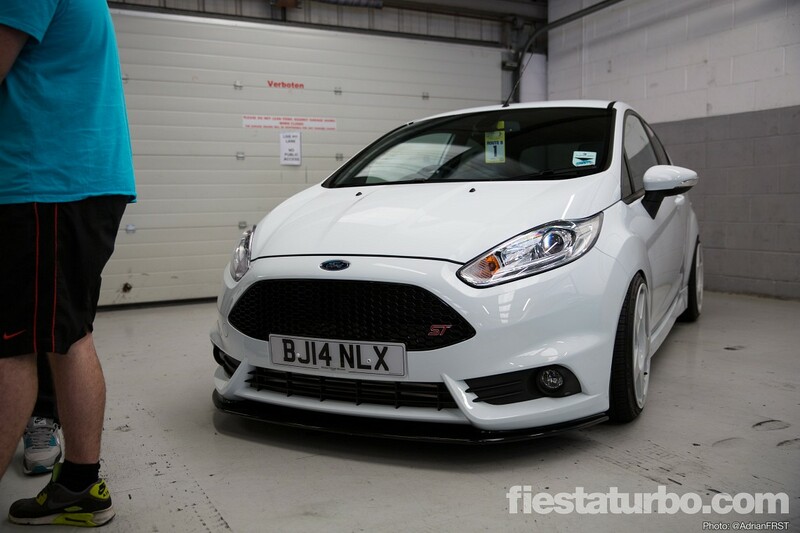 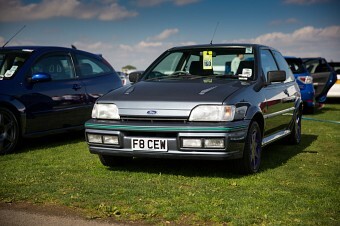 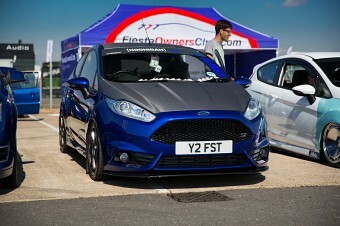 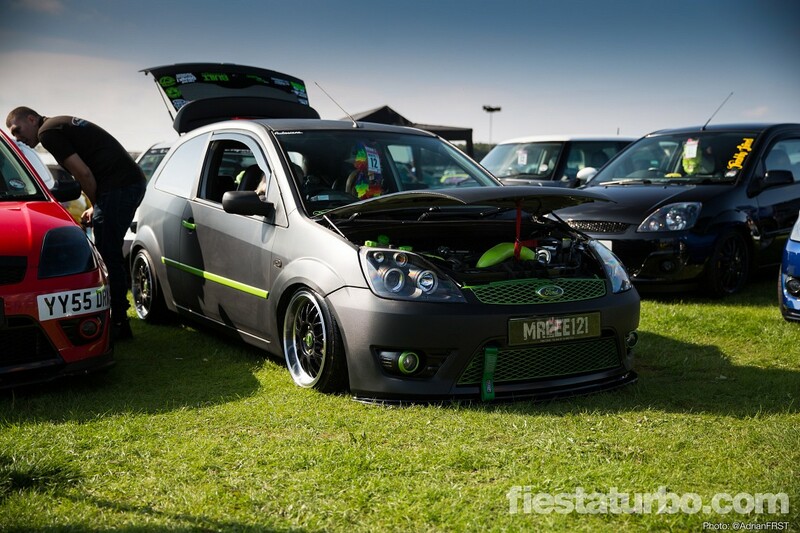 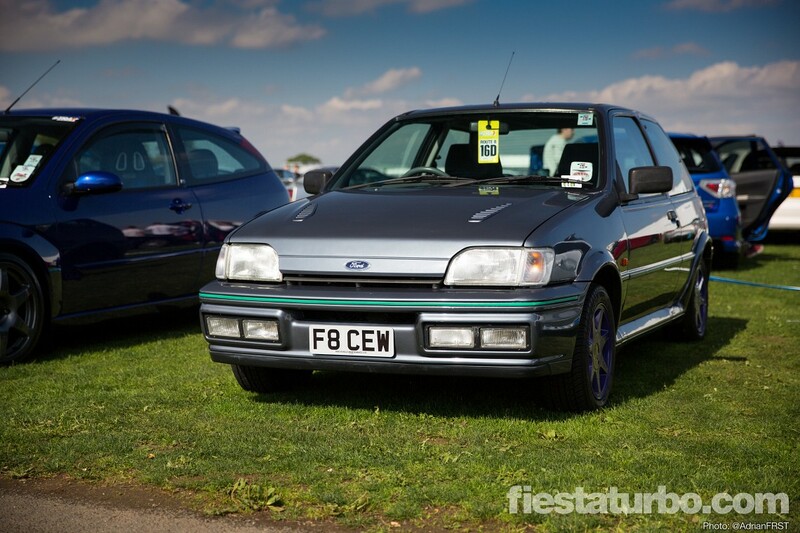 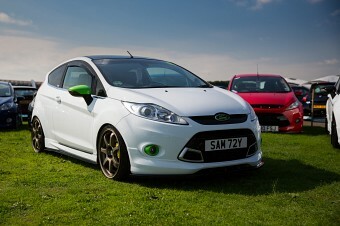 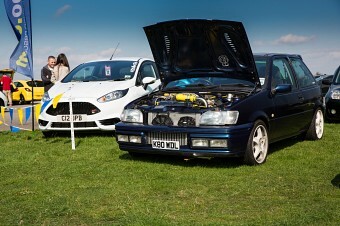 Plenty of Fiestas too, with the Mk6 and Mk7 being the most popular choices although theew was a couple of Mk3s. 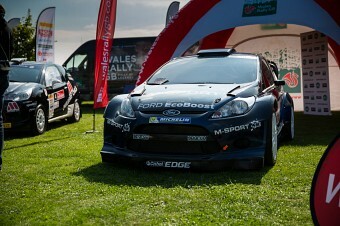 Two stood out for very different reasons. The red sleeper Zetec Turbo on the Fast Ford stand was very nicely done, and what appeared to be a standard-ish Si turned out to have a crazy sculptured dashboard with subwoofer and centre mounted clocks. 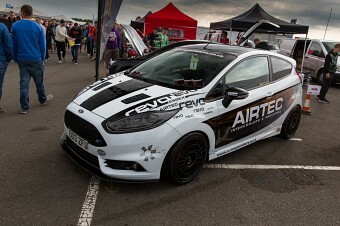 43 photos, click to enlarge.